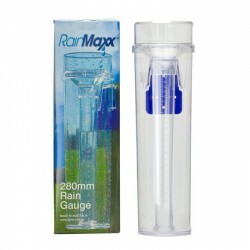 A heavy duty, UV stabilised rain gauge made by Fjord Manufacturing in Australia. The tough design means that it will withstand many years of Australian sun and rough use. It is easy to install with a multi-hole mounting plate. Maximum capacity 150ml / 6".